SBAC 2017, SPJIMR's annual Business Academia Conclave this year, brought together four leading CEOs, over 50 CXOs, faculty members, students and staff for an exchange of ideas around the theme of innovation. It was the single largest collection of industry and academia heads devoted to the theme of innovation, which coincidentally was held the very day India's HRD Minister Prakash Javadekar elsewhere said that educational institutes must encourage innovation. Said SPJIMR Dean Dr. Ranjan Banerjee, "We have identified two words that we want to own: 'innovation' and 'social sensitivity'. The catalyst will be events like SBAC. SBAC will let the world take notice, it will showcase what we are doing and from SBAC will begin a series of conversations, which will be followed by co-creation to take us to a far larger audience." The stage for SBAC was set in the morning hours on January 25, when Dr. Vijay 'VG' Govindarajan, a leading authority on strategy and innovation, arrived at the SPJIMR campus and spent almost two hours speaking to students in the SPJIMR auditorium. VG, regarded as one of the world's leading experts on strategy and innovation, is the Coxe Distinguished Professor at Dartmouth College's Tuck School of Business and the Marvin Bower Fellow at Harvard Business School. Citing examples from a range of businesses and dipping into sport, Dr. Govindarajan laid out his simple but powerful 'three box solution' to innovate and build for the future. 'The Three Box Solution' is the title of his best-selling book: Box one builds on the current business models, box two is about selectively forgetting older models and box three is about investing for the future. Dr. Govindarajan and SPJIMR faculty members with students and staff then moved to the Grand Hyatt for SBAC 2017 - which saw on stage R Gopalakrishnan, thought leader, author and SPJIMR's Executive-in-Residence in conversation with N Chandrasekaran, CEO of Tata Consultancy Services; Sanjiv Mehta, CEO of Hindustan Unilever Limited; D Shivakumar, CEO of PepsiCo India and 'VG'. The panel exchanged experiences and shared ideas on innovation in the Indian context, an interaction that SPJIMR said marked the beginning of a longer-term dialogue and cooperation between business and academia. 'VG' commented often from a business and academic perspective, and R Gopalakrishnan as the moderator gently steered the panel to discuss how India could possibly become the innovation capital of the world. We have identified two words that we want to own: 'innovation' and 'social sensitivity'. The catalyst will be events like SBAC. SBAC will let the world take notice. It will showcase what we are doing : Dr. Ranjan Banerjee, Dean, SPJIMR, speaking a day after SBAC 2017 concluded. The panel was preceded by a keynote by VG about innovation, in which he covered his time as the Chief Innovation Officer of GE, and how Indian businesses like Narayana Health (formerly known as Narayana Hrudayalaya) were taking innovation to developed markets. He spoke of adopting 'next practices' rather than studying 'best practices'. SPJIMR Dean Dr. Ranjan Banerjee and faculty member Dr. Snehal Shah, Chairperson of SPJIMR's Fellow Programme in Management presented a white paper that discussed innovation in Indian companies. The paper was based on a survey of Indian corporations led by SPJIMR's faculty member Thomas Puliyel, who is the former President of IMRB International. The paper offered a strategic framework for 'co-opetition', a balance between cooperation and competition in leading innovation in businesses. SPJIMR will circulate a copy of the paper shortly as part of its larger efforts to continue and build on the conversations at SBAC, the annual conclave that opens up a platform for an exchange of ideas and experiences between academia and industry. The opportunity for the two to interact and learn from each other is at the core of SBAC, which stands for SPJIMR Business Academia Conclave. SBAC 2017 was the eighth such conclave organised by SPJIMR, and for the first time came in a new format that attracted leadings CEOs, CXOs and academics. SBAC 2017, SPJIMR's annual Business Academia Conclave this year, brought together four leading CEOs, over 50 CXOs, faculty members, students and staff for an exchange of ideas around the theme of innovation. Dr. Vijay Govindarajan, Coxe Distinguished Professor of Dartmouth College's Tuck School of Business and Marvin Bower Fellow at Harvard Business School, spoke to SPJIMR participants at the SPJIMR campus. Innovation in the area of sport figured prominently during the conversations at SBAC, SPJIMR's prestigious annual business academia conclave. In a panel discussion, leading CEOs and academics discuss specific examples of innovative approaches in the Indian context. SPJIMR faculty members speak on the journey that began with a series of book readings and led SPJIMR to put up its biggest ever business academia conclave. SBAC 2017 this time also incorporated a section on learning about innovation from areas beyond business, notably from sports. Joy Bhattacharjya, Project Director, LOC of the U-17 FIFA World Cup, who was previously a part of the IPL starting from 2008, and served as team director of the Kolkata Knight Riders franchise, spoke about innovation in sport. 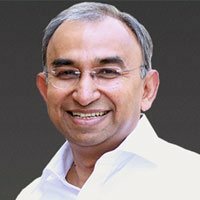 Prakash Iyer, noted author, speaker and former MD of Kimberly-Clark Lever, then summed up with more ideas on innovation, ending with the 'PhD' route to innovation, where he said the acronym stands for being 'Passionate, Hungry and Disciplined'. 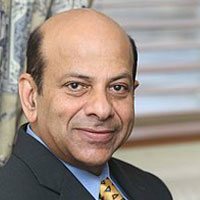 Vijay Govindarajan, popularly known as ‘VG’, is regarded as one of the world’s leading experts on strategy and innovation. VG, who is also New York Times and Wall Street Journal best-selling author, is the Coxe Distinguished Professor at Dartmouth College’s Tuck School of Business and the Marvin Bower Fellow at Harvard Business School. He joins the SPJIMR SBAC 2017 conclave this year to exchange ideas on innovation with Indian academic and business leaders. VG will deliver a keynote that will set the theme for the conclave and the discussions for the afternoon and the evening. What are the biggest barriers to innovation in Indian organisations? Is there sufficient leadership support for creating new ideas? Is there too much focus on the current streams of business rather than future products and new customers? Do cross-functional teams within organisations work well? Why are Indian entrepreneurs so reluctant to forge collaborative networks across competitors? The white paper will be presented by SPJIMR Dean Dr. Ranjan Banerjee and authored by him along with Dr. Snehal Shah, Chairperson of SPJIMR's Fellow Programme in Management. The white paper will combine academic inputs with a survey led by Thomas Puliyel, former President of the IMRB International, on innovation in Indian corporates. VG was joined by our panel of CEOs for a discussion on innovation in business. The discussion was moderated by R. Gopalakrishnan, author, corporate leader and Executive-in-Residence at SPJIMR. The panel comprised the CEO of HUL Sanjiv Mehta, CEO of TCS N. Chandrasekaran and CEO of PepsiCo India D Shivakaumar. The five leaders focussed on innovation in the Indian context. The discussion revolved around how Indian companies can innovate and grow to become leaders in their space. In our special section on Innovation in sports, and the media & entertainment sector, Joy Bhattacharjya, Project Director, LOC of the U-17 FIFA World Cup. Joy was previously a part of the IPL starting from 2008, and served as team director of the Kolkata Knight Riders franchise. In 2014, Joy authored the book, 'The First XI: Junior Premier League'. Vijay Govindarajan has been repeatedly identified as a Top Five management thinker by influential publications including: Outstanding Faculty, named by Business Week in its Guide to Best B-Schools; Top Ten Business School Professors in Corporate Executive Education, named by Business Week; Top Five Most Respected Executive Coaches on Strategy, rated by Forbes; Top 50 Management Thinker, named by The London Times; Rising Super Star, cited by The Economist; Outstanding Teacher of the Year, voted by MBA students. Prior to joining the faculty at Tuck, VG was on the faculty at the Harvard Business School, INSEAD (Fontainebleau) and the Indian Institute of Management (Ahmedabad, India). VG’s research has garnered numerous accolades. He was inducted into the Academy of Management Journals’ Hall of Fame, and ranked by Management International Review as one of the Top 20 North American Superstars for research in strategy. One of his papers was recognised as one of the ten most-often cited articles in the entire history of Academy of Management Journal. R Gopalakrishnan, noted thought leader, author of several books and a senior corporate leader, led businesses at Hindustan Unilever Limited and later served on the board of Tata Sons. He is now Executive-in-Residence at SPJIMR. 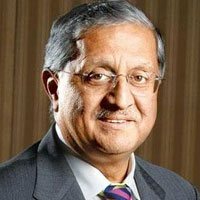 Gopalakrishnan has previously served as Chairman of Unilever Arabia, MD of Brooke Bond Lipton, Vice Chairman of Hindustan Lever, ED of Tata Sons and several Tata companies. He also serves as an independent director of listed companies, Akzo Nobel India, Castrol India, and Hemas Holdings PLC, Sri Lanka. Natarajan Chandrasekaran, Chairman, Tata Sons, was till recently the Chief Executive Officer and Managing Director of Tata Consultancy Services (TCS), a leading global IT solution and consulting firm, a position he has held since 2009. Chandra was appointed as a Director on the board of Tata Sons in October 2016. He was appointed a Director on the board of India’s central bank, the Reserve Bank of India, in 2016. 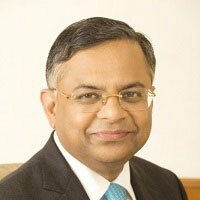 Chandrasekaran has served as the Chairperson of the IT Industry Governors’ at the World Eeconomic Forum, Davos in 2015-16. He has been playing an active role in the Indo-US and India-UK CEO Forums. Chandra, as he is popularly known, is also part of India’s business taskforces for Australia, Brazil, Canada, China, Japan and Malaysia. He served as the Chairman of NASSCOM, the apex trade body for IT services firms in India in 2012-13 and continues to be a member of its governing Executive Council. 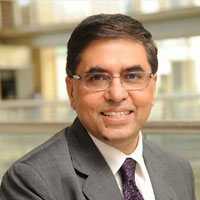 Sanjiv Mehta joined the Board of Hindustan Unilever Limited (HUL) in October 2013. He has led several Unilever businesses across South Asia, South East Asia and the Middle East. He was appointed Chairman and MD of Unilever Bangaldesh in 2002 and Chairman and CEO of Unilever Philippines in 2007. In 2008, he was Chairman of Unilever North Africa and Middle East, leading a multi country organsiation spanning 20 countries in the region. 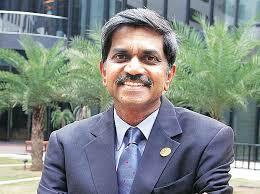 D. Shivakumar is the chairman and CEO of PepsiCo India. Prior to this he served as Managing Director and Vice President, Sales, Mobile Phones of Nokia India Private Limited. Mr. Shivakumar was with Nokia since 2006. He was until recently the Managing Director of Kimberly-Clark Lever and was earlier the Managing Director and CEO of Infomedia India Limited (formerly Tata Infomedia). Joy Bhattacharjya is Project Director, LOC of the U-17 FIFA World Cup, which is to be held in India. He was previously a part of Indian Premier League, starting from 2008. 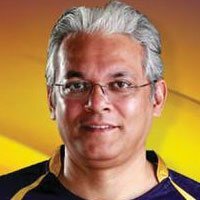 He was the director of Kolkata Knight Riders franchise (KKR). 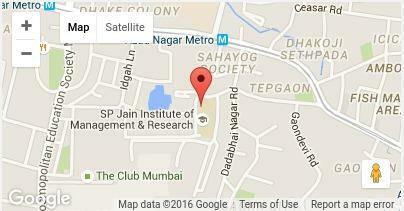 SBAC is the acronym for SPJIMR Business Academia Conclave, an eight year old initiative run by the S P Jain Institute of Management & Research. Over the years, SBAC has evolved from a small initiative to a series of six conclaves and now to a high value one day event with marquee speakers. SBAC 2017 was the biggest, grandest conclave ever held in the series and is the first step in taking the event to a new level. The theme for SBAC 2017 was innovation, with the conclave positioned as a dialogue between the best of Indian CEO leaders, Indian academia and global thought leaders. We see the engagements as a means to opening up new areas of cooperation and learning. The event included a series of interactions through the day with the specially invited audience, a white paper to probe the Indian scenario and discussions the road ahead for Indian companies as they innovate and grow in a changing business environment. The SBAC theme changes every year. We identify one theme every year that is important and critical to enable Indian industry become world-class. 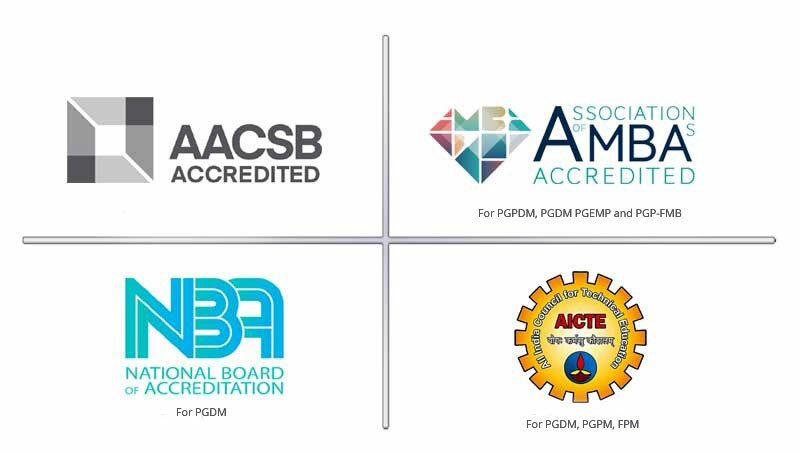 Related to that, SBAC invites a leading global thought leader in that area to come and speak to Indian academics, Indian students and Indian corporates. The typical format is a panel discussion with leading practitioners who can revisit their respective journeys, discuss the experiences with a global leader and lay out the road map for growth. We will distill some of the findings from our own practitioner-oriented research as well as from global research and thinking and give an academic perspective of some things that India and corporates need to do. Wherever possible, we will also see if there are perspectives from fields other than corporate, which corporate India can learn from. The event is targeted at thought leaders and opinion leaders, which we hope will move the practice forward. In doing this, we see SBAC as now becoming an inclusive high-level event which showcases the latest thinking in a domain and hopefully triggers much higher levels of practice and information sharing.